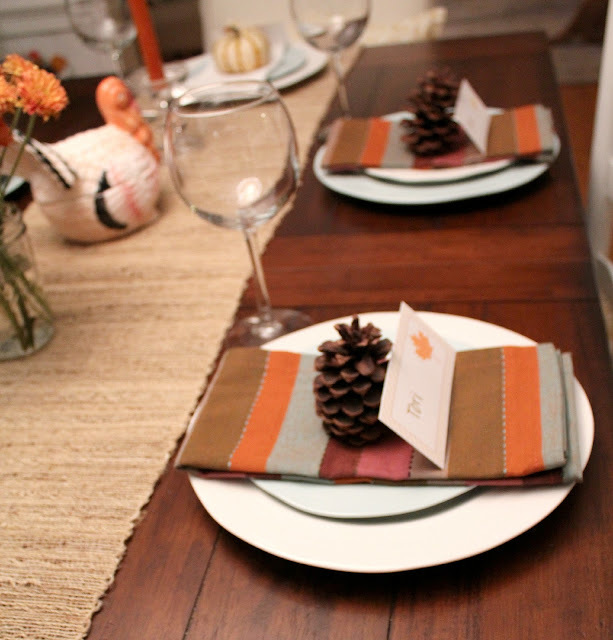 Thanks so much to all of you for your sweet comments on our simple and sweet Thanksgiving table! Now I'm just ready to fill this bad boy with some amazing food! In my family, we take food seriously. It's go big or go home! We're big on tradition, so when one of us says "it's not Thanksgiving without ________" we've got to make sure we have that dish! Which kind of turns into about twenty dishes for about ten people. Thank goodness for leftovers, right? Want to know what's on the menu this year? I wasn't lying... we've got a LOT of food planned : ) And, of course, it's all done Southern style. Many of the recipes are from either my family or David's family, but I did pull a couple from other sources. I'll be using Paula Deen's cornbread stuffing recipe, but I plan to add more fresh sage + onions like my great-grandmother used to do. 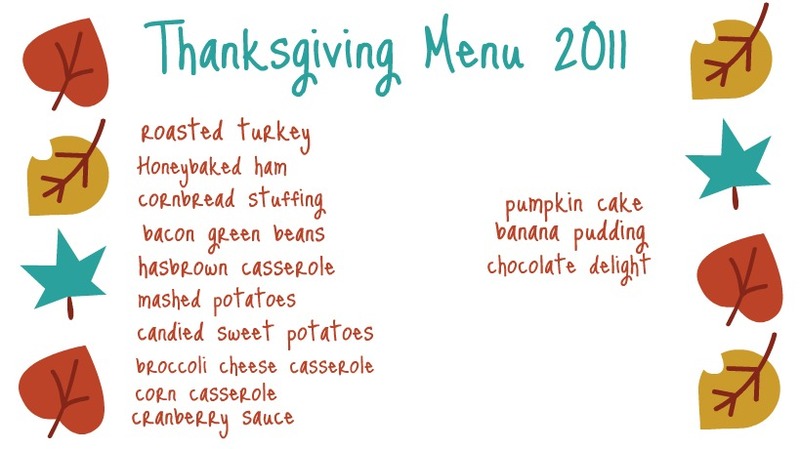 The candied sweet potatoes will come from Betty Crocker (minus the Cheerios... weird!). Oh and of course, we can't forget Paula's famous ooey gooey pumpkin cake recipe (which I frequently tell my family is my own recipe because it always walks away with a lot of love!). So there you have it! The Thanksgiving table at Ten June. What are you cooking up this year? Yum, yum, and more yum!! Hope you and your family have a fantastic Thanksgiving! You just made me real hungry'! Sounds awesome! Love all your traditional southern recipes. We're doing roasted turkey, sausage stuffing, corn, mashed potatoes, creamed pearl onions, sweet potato casserole and creamed spinach au gratin (Barefoot contessa recipe, try it sometime, its awesome!) For dessert, pumpkin pie, coconut cake, chocolate cream pie and petit fours. Pretty traditional for here up north. Enjoy your day!!! Oh my gawd, that menu sounds delightfully dangerous! :) Happy Thanksgiving!! Um, bacon green beans sound AMAZING! Your menu looks fabulous! Your menu sounds fantastic!! Exactly what the Thanksgiving meal should be. Hope you have a very Happy Thanksgiving!! 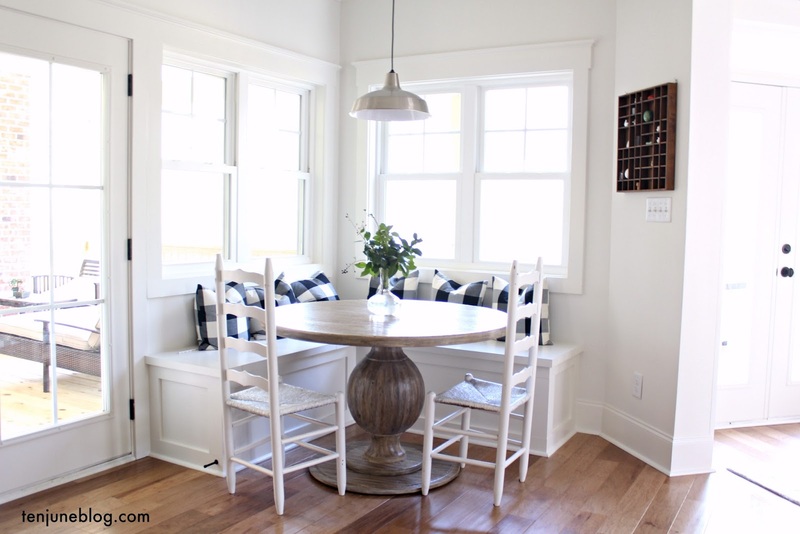 Enjoy all of your good food that you'll be eating at your oh so pretty table. Yum! I'm just dying for all that food! I just added a couple more items, thought we may not have enough, ha! I'd say we're 'serious' about food, too! Yum! Southern it is!! Have a wonderful holiday!! I tried that ooey gooey cake once. Almost lost my stomach...so much darn butter!